The Neighbourhood Planning process has been developed as part of the Localism Act and does have real statutory power. The planning framework is currently set by Cornwall Council, through consultation across the county. The neighbourhood plan will be a reference document for this planning framework, and represent exactly what we want as a community. For further reading please visit www.locality.org.uk which provides an insightful overview for community led organisations, including neighbourhood planning. Locality’s “quick guide to neighbourhood planning” is a great summary of the process. The overall Neighbourhood Planning process will cumulate in a referendum which invites everybody of voting age within the parish, to answer a simple yes or no question, such as- “Do you want the PZNP to form the decision making document for all future planning applications?” With a simple majority, the community’s ideas become the planning framework for the Parish. Recent Neighbourhood Plans that have been adopted in Cornwall include “St Eval”, “Quethiock” and “Roseland”. 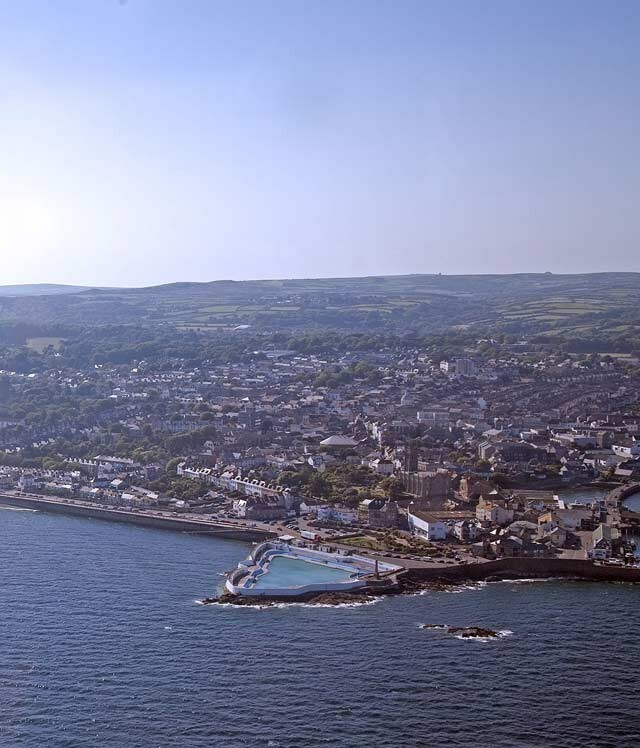 The Plan covers the entire Penzance Parish area and will therefore need to reflect the aspirations and concerns of each distinct area, be that Penzance, Newlyn, Mousehole, Paul, Heamoor or Gulval. The aim of the PZNP is to ensure that each community area is engaged with. To see where your home sits within the Penzance stakeholder zones, and comments from members of your community on what they like, don’t like, and would like to change about where they live, visit the ‘have your say’ area of our site. The Neighbourhood Plan will have real statutory power, and there are processes that must be followed, evidence gathered, and consultation undertaken to inform the policies that will make up the overall plan. Members of the Neighbourhood Planning Board have been on the road visiting each Stakeholder Zone to discuss what affects you in your area. Through this consultation we are developing objectives, and policy options for the draft neighbourhood plan. The PZNP was launched in February 2015, with an initial consultation phase lasting approximately 10 weeks. We spent four weeks in a pop up shop in Penzance and took our exhibition and proposals out on roadshows including Newlyn, Paul, Mousehole, Gulval and Heamoor. Over the period we estimate that over 3,000 people engaged with the consultation. This first round consultation focused on economic regeneration but also asked people what other issues were important to them. This included: Transport & Getting About; Town and Village Centres; Housing; Open Spaces; Sport & Leisure; Health & Wellbeing; Employment & Skills; and Tourism & Visitors. The results of this initial consultation are available in the “What You Said” section of this website. Having completed our initial consultation, we sent the results of this Survey via a letterbox drop to all households in the Parish in December 2015. Alongside these results we included a survey addressing housing & facility needs throughout the parish – another key issue to be addressed in the emerging Neighbourhood Plan. The results of this survey are also available in the “What You Said” section of this website. Last year we held a Penzance EXPO in St John’s Hall to showcase the Neighbourhood Plan’s range of economic regeneration proposals and update on their progress. This was attended by more than 1,000 local people and the response was generally very positive. Since then the Penzance Regeneration Partnership, which includes the Neighbourhood Plan, Town Council, Cornwall Council, Penzance BID, Tourism Association, Chamber of Commerce and Penwith College, has been working to build on public support for these proposals, maintain the momentum and help to create a new and positive future for Penzance. This has included drafting policies to support the development of the key projects. Following the success of last month’s Neighbourhood Plan EXPO, we are holding drop in sessions and public meetings around the parish over the next few weeks to give more people the chance to look at the draft objectives and policies for the Plan, consider how they would affect their area and to add their own views. Feedback from those sessions and from the Neighbourhood Plan questionnaires will form the basis of how the Plan details are developed. This community feedback is all important: it’s how the plan moves from broad aims to the detail which, in turn, is essential to making sure that each of the communities across the parish is properly represented. Sessions are currently planned for the Centre in Newlyn between 3pm and 7pm on 13th and 15th November; Tesco at Eastern Green between 3pm and 6pm on 16th November; at the British Legion in Heamoor between 3pm and 6.30pm on 22nd and 23rd November and at the Solomon Browne Hall in Mousehole between 3.30pm and 7pm on 27th November. Further sessions and meetings will be organised for the town and wherever else there is demand! Details will be published on the Neighbourhood Plan Facebook Page www.facebook.com/pznpl, the website www.pznp.co.uk and in the local media, as well as posted in the town and individual local communities. Whether you attend a drop in or not, please complete a questionnaire. They’re available on the website and Facebook Page and we’ll be arranging for them to be available in hard copy at the drop ins and in some key public places around the parish. Once completed the Plan will be formally submitted to Cornwall Council for consideration, with a local referendum process then carried out by Cornwall Council’s elections team at the beginning of 2019.